Google Glass - will we love it or hate it? Google's smart glasses project has been causing excitement in the tech world for months as speculation about what it will finally look like and be able to do reaches fever pitch. Prototype devices are being tested by around 1,000 so-called Glass Explorers and are expected to go on sale to the public next year. While some see such wearable computing as the obvious next step for the digital age, others regard the idea of even more intimate connections with the network quite scary. The BBC has garnered the views of those who have tried Glass and others who have strong views about the project to see what a smart-glassed future might look like. I was the first person on the West Coast to pick up my device and, having had Glass for a few weeks now, I'm mostly surprised at how much there was to learn about using it, and how much more there is to discover. What comes to mind first is that the preconceptions we had of Glass before actually using it are largely irrelevant. Glass is different: "new" is too weak a word to use. As a developer I'm just getting an idea of how to write helpful applications for this new form of intimate information access. On a personal level I've never met this many people in this short a time, simply because they are curious, friendly and interested to see what this thing is and where it might go. My issues have mainly been technical. I wear glasses and as part of the Glass Explorer program don't yet have the unreleased Glass eyeglass frame the team is developing. As an amateur photographer I'm finding it not too different from what I did before - just more convenient. "The best camera is the one you have on you" goes the refrain, so instead of having to pull out my cell phone and find the camera app to get that already gone shot of my 10-year-old, now it's easier. Mostly it's about checking the time without giving the impression I'm hurried, picking up phone calls effortlessly, and accessing new emails so quickly it doesn't seem like work - compared to sitting at a computer in a stuffy office. I'm looking forward to seeing the new places this will take me. For example, I use a task management system on my computer - can I write an app to make this easier on Glass? What about at work when I need to help a colleague troubleshoot some equipment where he needs both hands free? Or keeping in touch with my distant family: can I find a way to make them a closer part of my life? I don't know where this is going, but I'm entirely sure it will be interesting. Google Glass is supposed to be ready for sale in late 2013, but I am still sceptical about the whole concept. Most of the people excited about Google Glass are mobile device slaves who feel the need to compulsively answer every text message or check every email. 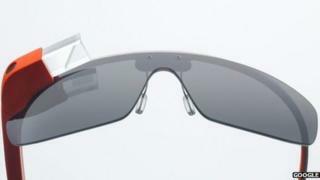 The Google Glass device sounds like a match made in heaven for them. The ability to feed your compulsion without having to actually look at your mobile device - that must be nirvana. Fortunately, at least so far, those types of people are not the norm. From my perspective, Google Glass sounds like a terrific recipe for creating more annoying rude people talking to themselves in public. You know the people I mean: they occupy our world while existing in their own separate virtual world, oblivious to the social awkwardness they leave in their wake. Augmented reality glasses are just a more perfect way for them to avoid substantive interaction with normal people like you and me. Don't get me wrong. There are definitely niche uses for easy augmented reality devices, and I believe Google Glass devices will be common in the future. I just don't think everyone will be wearing the devices on a daily basis, at least not until someone can explain to me why we would or should. Like nearly every online service, Google's greatest sleight of hand was to make us all think of ourselves as Google customers, when in reality we - or more accurately, data about us - are Google's product. Advertisers are the customers, generating around 96% of Google's revenue. In this arrangement, we used free services, and - current anti-trust investigations aside - if we didn't like the deal, we could choose to use a different service. Google Glass tips that choice on its head. Now the people making the choice are the ones wearing Glass, but whoever asked what the Glass sees for its permission to be monitored? And don't think for a second you're in control of the data from your own Glass. You're just a conduit for data collection. It makes CCTV cameras look trivial. Here is a real-time, always-on, internet-connected data stream being fed in - not from a fixed position on a building, but from among our everyday lives. The person next to you isn't just another commuter any more, they're a Google agent. What they see, Google sees and can use, store and, after that, who knows? Facial recognition analysis? Your picture on a billboard? In reality, it is an academic question. If there's someone willing to pay for it, it will almost inevitably happen. Choice is key to trust in the digital economy and Glass doesn't just challenge our assumptions about consent, it challenges whether we even have a choice any more. And that can't be good for anyone. For the past 20 years I have been wearing a computer with a head-up display as an intelligent assistant in my daily life. My research teams have formed communities of users to create "living laboratories" where we can explore the potential benefits and social aspects of these devices. We found that a head-up display with a properly designed interface can help the user pay attention to the real world as opposed to retreating from it into a laptop or mobile phone screen. By having an interface that takes less than two seconds to access, we can reduce the time between intention and action, which enables access to useful information in almost any situation. Wearable computing interfaces can effectively augment the user's eyes, ears, voice and mind while being less socially intrusive than a desktop, laptop or phone. In addition, a properly designed interface can actually create a "calming" technology that helps mediate interruptions and allows the user to be in charge of her own attention. To quote Nicholas Negroponte in Being Digital, these technologies will evolve into "a digital butler... [it] recognises callers, disturbs you when appropriate, and may even tell a white lie on your behalf. The same agent is well trained in timing, versed in finding the opportune moments, and respectful of idiosyncrasies." In the future, wearable technologies will help us manage our lives, keep us in tune with our bodies through on-body sensors, augment our minds and allow us to be more independent of the physical desktop computing infrastructure that currently limits us.